We are taking our power back! I don’t know about you but I am angry. Anti-Semitism has reached alarming levels on a global scale that we have not seen since pre-World War 2 and some of the invective is worthy of Der Sturmer circa 1938. 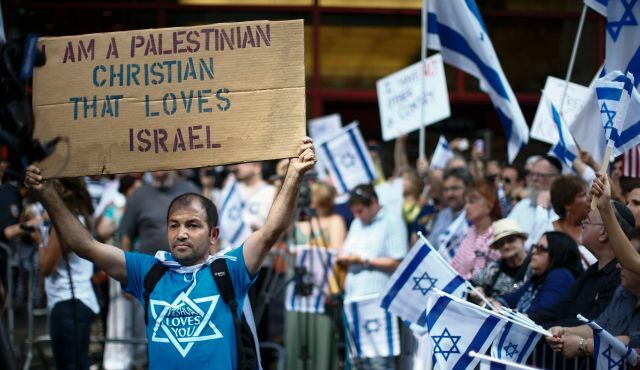 From the United States to South Africa, France to Australia, Jews are being singled out for persecution. Facebook has become a battlefield where the lines have become clearly demarcated and many can claim losing life-long “friends” due to differing opinions. Twitter has brought the worst out in twits who tweet nasty. Some twit called me “a bimbo who should change my handle to occupier Barbie”. Hey, I have been called worse! It is merely symptomatic of something far more nefarious. To those who say that we have no right to organize ourselves politically and call it Zionism, I say we are taking our power back. To those who call for our destruction, we take our power back. To those who are outraged at our audacity to defend ourselves, we take our power back. To those who call our army and security forces “war criminal” and “baby killer”, we take our power back. To those who intimidate and threaten our Muslim, Druze, Christian and other non-Jewish citizens of Israel, we take our power back. 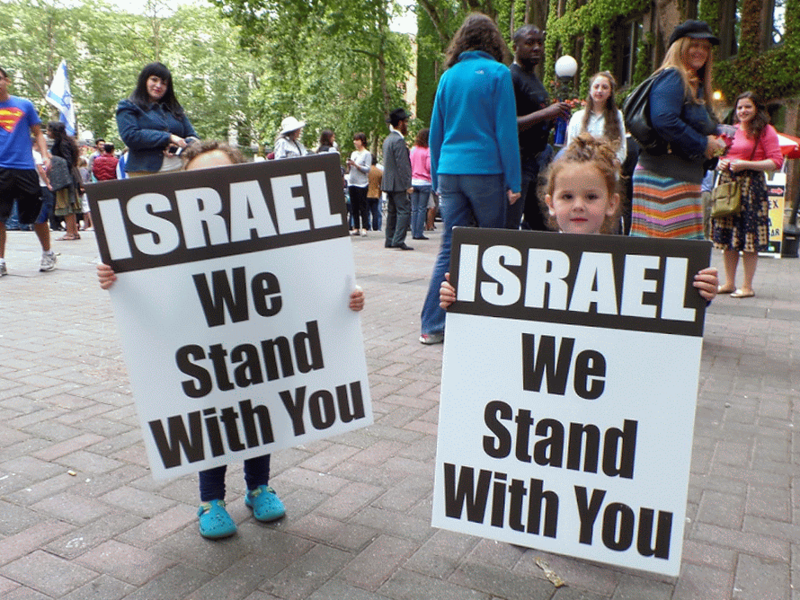 To those who intimidate and threaten our many non-Jewish supporters around the world, we take our power back. To those who get hysterical because we don’t rack up those high casualty numbers in a time of war, we take our power back. To those world bodies and organisations who focus their attention on the State of Israel and pass a disproportionate (yup, I used THAT word) amount of resolutions against us, we take our power back. 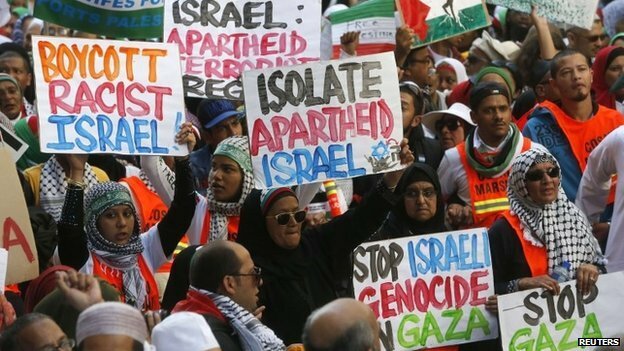 To those who call Israel an Apartheid state, negating the suffering of the millions of South Africans who lived under this heinous regime, we take our power back. To those who think that chanting hate speech at protest rallies intimidates and shames us, we are taking our power back. To those who draw a moral equivalence between Israel and terror organisations, we are taking our power back. To those who call for Boycotts, Sanctions and Divestment, causing more harm than good to the Palestinian people, who you purport to help, we are taking our power back. To those who try to camouflage their ill-disguised hatred behind the concept of human rights, you are transparent and we take our power back. To those who take their anger and hatred out on Jewish community members across the world in museums, synagogues and schools, we are taking our power back. And finally, to the world media who can’t be bothered to fact check, provide balanced coverage or would rather turn a complicated situation into sensationalistic tabloid style journalism in order to get those ratings, I hold you responsible for a lot of the insanity we are experiencing right now. We take our power back! We will stand up against you at protests and rallies. We will wear our religious insignia proudly. 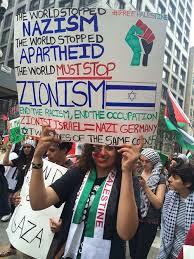 We will call our name Zionist. We will proudly purchase and support Israeli industry. We will use every platform at our disposal to fight your invective. We have learnt from our historical experience and the hideous double standard that is applied to us at the expense of those who deserve the attention we receive. A large part of taking your power back is just showing up. This is why it is important to be armed with facts and disseminate and speak them as far and as often as possible. We cannot abdicate responsibility anymore by saying it is the work of the government or politicians. We are all responsible for each other. You detractors, you haters, you intolerators, you genteel anti-Semites, you out and loud hatemongers – you do not have the power you think you have to intimidate and hurt us. We have taken our power back. How does one say thank you to the thousands of brave young men and women of the IDF who work night and day to ensure that we are safe and sound? It is no secret that every Israeli regards our soldiers as our children and after a tumultuous and traumatic summer, it has become even more of an imperative to show our gratitude. Enter AWIS. AWIS or the Association for the Well-being of Israel’s Soldiers is an international, non-profit, humanitarian organization founded by David Ben Gurion in 1942. 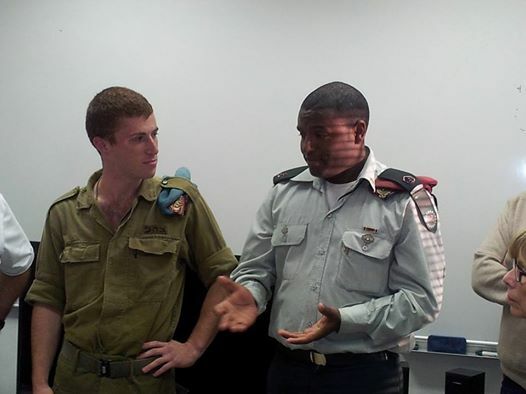 The organization is dedicated to looking after the mental and physical well-being of Israel’s soldiers and volunteers work tirelessly to provide for Israel’s protectors. I was absolutely delighted to join the English Speaking Branch as they spent the day dedicating several clubhouses on bases around the country. I can drive this thing….. The first to arrive and the last to leave. This describes the Transport Corps, who keep our army moving. The men (and yes, there are women!) who are responsible for heavy vehicle transportation and for ensuring that our troops get to where they need to go. They are the unsung heroes, carrying the army on their backs. Literally! From tanks to troops, the transport corps ensures that our soldiers and heavy duty vehicles like tanks get to where they need to be safely and efficiently. AWIS volunteer, Ian Waldbaum, pictured below, proudly dedicated the clubhouse for these hard-working troops. “Providing our young men and women soldiers with some form of sanctuary and sense of family, in and around the battlefield, is a crucial enterprise that requires our sustained and specific attention. Our branch was formed more than 30 years ago to raise funds dedicated to providing extra comforts, in their off duty hours, for all our soldiers in the army, navy, air force and border police bases throughout Israel. Though the funds are solely under our administration our branch finances only projects that are requested by the IDF through AWIS Head Office,” says Chairman Cecil Shevil. Our next stop was Kalandiya crossing and the Erez battalion. 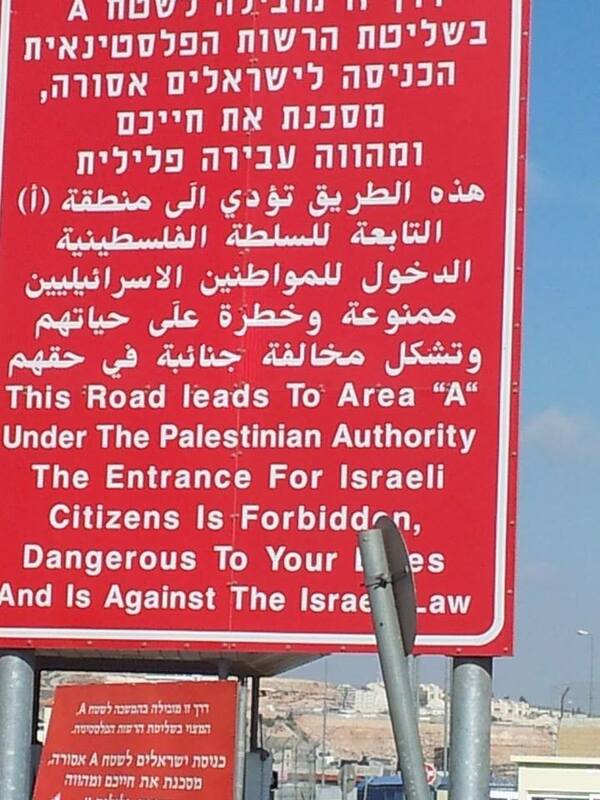 These brave men and women monitor the checkpoints between Israel and the West Bank. Often maligned by the foreign press, these courageous soldiers, often on their feet for 24 hours in a row, have stopped countless attempted terror attacks on Israeli civilians. Speaking to them and hearing their individual stories was both awe-inspiring and a reminder of the daily threats our country faces. In excess of 5000 terror attacks have been prevented this year! After a lunch that would have put a yiddisher mama to shame, a second clubhouse was dedicated where these soldiers could relax, play a little pool and unwind after a tense day. 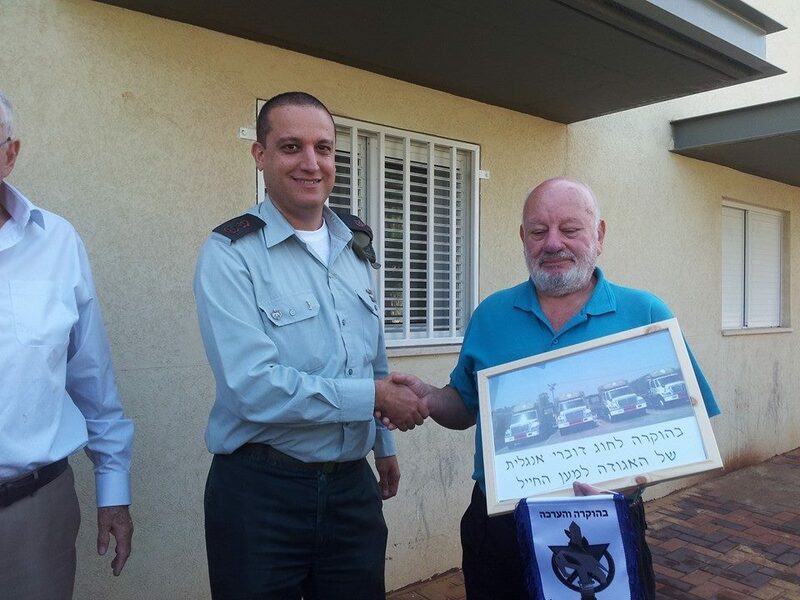 The soldiers who serve in the Erez battalion are combat soldiers but they still find time to volunteer with children and Holocaust survivors and giving them a facility that will help them unwind is a great way to say thank you. The unique essence of AWIS is the spirit of its members, volunteers and donors – providing the young men and women in the IDF with a genuine sense of care and love. Last stop for the day was the Ordinance corps. Many of the soldiers on this base come from lower socio-economic communities. A brand new clubhouse was dedicated and the group was warmly welcomed by the base commander who thanked the group, reiterating how a simple room to relax in goes a long way to make these soldiers feel special and appreciated. The clubhouses go a long way to uplifting their moral. Saying thank you to those who give their all for us to ensure our safety and security is priceless and the gratitude is palpable. Annual fundraising efforts are mainly centered on the Calendar project, the 120-club Annual Draw, Gift Cards, Gift Certificates and of course, private donations in Israel and abroad. The private donations are usually made to celebrate a simcha such as Bar mitzvoth, Weddings and Anniversaries (Silver, Golden and even Diamond!). On some occasions, sadly, in memory of loved ones and legacies from Estates. 100% of the donated monies are utilized for the specific project and donors are then invited to officially “open” their clubhouse together with their family and friends. Contributors are taken on trips to the bases when clubhouses are dedicated to see what is done with their contributions. It is always an emotional occasion to witness the grateful thanks and appreciation of all the young soldiers on the base – very worthwhile as everyone comes away from these trips with a great sense of pride and pleasure for what is being provided for our boys and girls who protect us 24/7. The funds of the English Speaking Branch of AWIS fundraising are allocated at the request of the Head Office of AWIS and we are proud to have been involved in many projects throughout our beautiful little country – furnishing and refurbishing clubhouses; equipping sports facilities; allocating funds for needy soldiers and their families at chaggim; scholarships for post-army study, etc.